According to a recent Business Insider report, beacons could directly influence more than $4 billion of U.S. retail sales in 2015 – a number that will climb tenfold in 2016. Retail, however, isn’t the only sector that beacons have cast their spell on. Of recent businesses across various verticals are diving head first into the beacon waters. Quite a few brands recently kickstarted their beacon strategy including Pizza Hut in China, Elle Magazine, JFK International Airport and Target. While all this seems to hint on the fact that beacons are on fire, most marketers even today aren’t very clear about what beacons offer or how they could leverage beacons to offer enhanced services without driving away their customers with irrelevant ads or offers. Quite surprisingly, in spite of all the hype around beacons, there is not much actionable information on how to go about a beacon pilot. 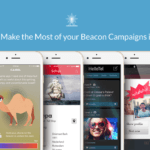 We recently conducted a webinar on ‘Your Guide to Planning a Successful Beacon Pilot’ to help brands understand what a beacon pilot is all about, the kind of investment it involves, and how to run a successful beacon pilot. In the webinar, Ravi Pratap, CTO and Co-founder of MobStac, discussed the various steps involved in creating a roadmap for your beacon pilot, right from setting to goal for your pilot to planning your pilot budget to managing your content via a Content Management System (CMS). He was accompanied by Neha Mallik, Senior Marketer at MobStac who talked about the various metrics that will help businesses with data-driven decision making, examples of successful beacon pilots and tools that come in handy when running a beacon project. In the end they answered some very interesting questions that we had received from our attendees.